With the widespread application of sensor and IoT technology in the field of water conservancy informatization, the traditional application systems based on Java EE or pure NoSQL databases for hydrological data processing and analysis have been difficult to meet the new requirements for processing and analyzing large-scale hydrological IoT stream data. 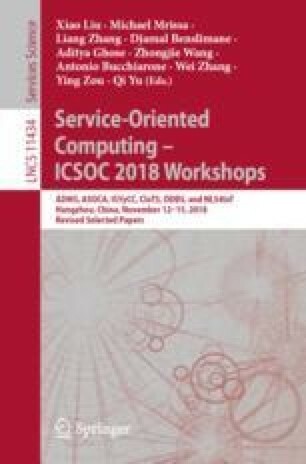 How to select a suitable big data processing platform and how to implement application systems for hydrological IoT stream data requires in-depth theoretical foundations, more experimental comparisons, effective design paradigm and practical implementations. This paper summarizes the research status of big data in water conservancy domain, and then proposes a hydrological IoT data processing system based on Apache Flink. We use the sensor data obtained in Chuhe river as the experimental dataset, and take the common and daily operations for hydrological data as example. The experimental results show that the processing capability of the hydrological IoT data processing system is far superior to the traditional multi-tier architecture system based on Java EE or pure NoSQL databases, and it obviously becomes an appreciable solution for water conservancy informatization. This work is partly supported by the 2018 Jiangsu Province Key Research and Development Program (Modern Agriculture) Project under Grant No.BE2018301, the 2017 Jiangsu Province Postdoctoral Research Funding Project under Grant No. 1701020C, the 2017 Six Talent Peaks Endorsement Project of Jiangsu under Grant No. XYDXX-078, and the Fundamental Research Funds for the Central Universities under Grant No. 2013B01814.